The artistic and philosophical concept which binds the different elements of the opera cycle City of Humanity together is the concept of a siege. Thus whilst the story of the first opera Swar (Behind the Fortifications) takes place during the Great Siege of 1565, the story of the second opera Il-Blata Mġarrba (The Island Fortress) takes place during World War 2. The third opera l-Era tal- Wieħed jew Xejn (The Age of One or Nil) takes place in modern day and future Malta in a wider European context. Although the operas form a cycle (the first ever Maltese opera cycle) each opera can be performed on it’s own and still be perceived as a complete work. Naturally when all three products are viewed after each other (4.5 hours in total) they will produce an artistic statement which is greater than the sum of their parts. 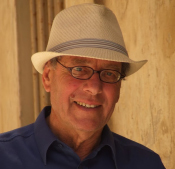 City of Humanity 1 - Swar (Behind the Fortifications)– The libretto has been written by Ġorg Peresso who is one of Malta's most veteran authors. Born at Vittoriosa (1939). Author, poet and broadcaster. Achieved a degree in Spiritual Theology at the Teresianum, Rome, and attended a course in broadcasting at St. Gabriel's College, Hatchend, UK. Won eight MBA awards in broadcasting and several Literary Awards organsed by the KNM, Francis Ebejer Radioplays Competition, best script at the International Drama Festival organised by the Malta School of Drama. Penned several radio and television programmes, including radioplays and telefilms, cantatae, Son et Lumiers and scripts for national events. In 2016, was awarded the ONE Tribute for his work in the field of culture and broadcasting. Employed with Xandir Malta and PBS for over twenty five years, responsible for TV and Radio Programmes, and Head of Drama and Culture. He was instrumental in the creation of a radio cultural station, FM Bronja. He still does part-time programming on Radju Malta and Campus fm, where he writes and produces a weekly docudrama. 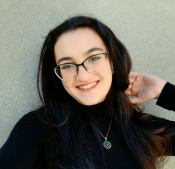 City of Humanity 2 – Il-Blata Mġarrba (The Island Fortress) – The libretto is being written by two students from different secondary schools who have an outstanding talent in creative writing. They are being mentored by Gorg Peresso. Amy Borg is thirteen years old, and attends Ħandaq Secondary School. She studied piano practice and music theory at Grade 8 level, and has performed in a number of venues across Malta. Amy also writes poetry, has been invited on local radio to read some of her original compositions and has had her works published in several magazines. More recently, she has placed third in a writing competition, with her poem; 'L-Għana tal-Ħolqien'. Francesca Grima is a fifteen year old girl and attends the Secondary School in Pembroke. She loves to write, sing and play the piano. 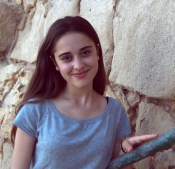 She wrote and published a book at the age of fourteen 'The Mourdred: The living thought' and she was picked to compete in the Malta Eurovision Song contest selection last Summer. Francesca also loves to write her own songs on the piano. She also enjoys reading very much as she likes to escape from this world and lose herself some place else where nobody knows. City of Humanity 3 – L-Era tal-Wiehed jew Xejn (The Age of One or Nil)– Work on this libretto will start in the academic year 2018/2019.